External Safety? Yes or NO? And why? Recently I found myself in a debate over a particular feature common to many firearms. The “manual safety”. It seems that there is much debate about the advantage and disadvantage of said devices and strong opinions. I personally am of the opinion of “different strokes, for different folks”. That for some, a manual safety is an added benefit or even a necessity. And for others it is a needless obstruction. I believe that it is very individualistic. For me, I prefer having a manual safety. That is in part because I have small children. I also believe a manual safety is beneficial for those who carry off their person. It is an added complication in operation, requiring an additional task before you can be ready to shoot. Furthermore, additional training is needed. Rather then drawing and simply shooting.You must draw, deactivate the safety, then fire.In otherwords, a firearm with a manual safety will set you slightly behind the curve of a firearm without. Good training can help reduce this effect, but never fully eliminate it. The above two items are good arguments against having a manual safety. So does that mean you should not consider a firearm with a manual safety? Not necessarily…there can be reasons for choosing a firearm with a manual safety. Though they may be hotly debated. A safety provides an additional level of difficulty in operation. This can be beneficial in reducing the likelihood of the firearm discharging when not in the proper hands. Two instances that come to mind, is when you have been disarmed by a criminal element. They won’t know your firearm, and will have to locate and deactivate the safety. This could be the time necessary for you to enact a secondary strategy of defense; such as the drawing of a back-up gun (often referred to as a BUG). The second situation I believe a manual safety to be a positive asset to a firearm is when it comes to children. Now this statement is sure to cause controversy. I’ve heard it said, “if you’re relying on a manual safety to keep a firearm safe in the hands of a child – than you’re doing it wrong”. Such quips are common. To a degree, it is correct. A manual safety in NO way provides any security that a child will not discharge a firearm. However, I do believe that a manual safety does provide an additional barrier to such a tragic event’s occurrence. It is in no way a guarantee. 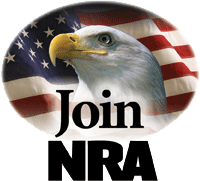 The best guarantee is to keep a firearm out of the hands of anyone not trained to properly use it. But is that possible? No one should put their trust in a safety, especially not in the hands of a child. But I will share my personal views as to why I consider it advantageous in such a situation. There is a law of complexity, simply put, the more complexity in a system (be it mechanical or workflow), the more likely said system will fail to be processed. Add more items to a firearm (safety, magazine disconnect, etc, etc) and the more likely one of them will fail and inhibit operation of the firearm. And this is where a safety can be advantageous in preventing accidental discharges. A firearm is by design, ergonomic. The entire firearm is designed to fit inside the hand comfortably. An individual who has never seen a firearm in their life, when asked to pick it up, will probably pick it up by the handle and insert their finger in the trigger guard. The design encourages such a position. This means a child who picks up a firearm with no experience, is like to find their hands on the grip and their finger on the trigger. Without a safety, the only thing preventing a discharge is the mere pulling back of the trigger in curiousity by the child. *shudders* That thought sends ripples down the spine of every father. A manual safety provides a second step, therefore exponentially increasing the complexity. Furthermore, the manual safety is not ergonomically design. It is not intuitively design. And it is commonly next to other levers and systems (ie: slide lock, disassembly locks, etc). Now do not think that a child can not nor will not discover the means of disengaging the safety and pulling trigger. One can almost guarantee that a child, given enough time, will do so. That task will be reduced by both the age of the child, and the child’s intelligence – until both reach a level of being able to fully understand the functionality and dangers of a firearm. But in the hands of a toddler – that transitional state between an non-walking infant and a cognizent trained child, a manual safety might be the difference between embarrasment and tragedy. It can provide just enough additional complexity to prevent an immediate tragedy, or perhaps to allow the passing of curiousity. Once again, I want to re-iterate that we DO NOT trust or rely upon safeties to accomplish – we are merely grateful that they may. I am sure some readers will say “If your firearm is in the hands of a child – you’re doing it WRONG!”. I’d agree…but I also point to our humanity. Humans have been doing it wrong for thousands of years. To be so affirmed in the sense of our abilities to dismiss risk is dangerous. There are equipment failures, there are accidents, there are situations where you might think “you’re doing it right”. One might for example think that their equipment is adequate. You might have even bought the seemingly best equipment money can buy after having read all the stellar reviews. That doesn’t mean your equipment cannot fail. Perhaps your holster broke, unbeknownst to you. You’ve kept walking while you’re firearm remains 200 paces behind you. Sure, we can say how one should have noticed, felt the difference, whatever. Maybe you were rolling around outside with you children, unaware that you’re firearm fell out of the holster and lays on the grass. Until you 6 yr old hands you your Glock. Maybe your equipment was perfect. But while you were walking down the sidewalk a car goes over the curb and hits you and sends you flying. You’re knocked unconscious. The paramedics load you into the ambulance. They have no clue what the plastic buckle on your belt is. They do not know you were carrying a firearm, which now lies on the side of the road. Accessible to any children who happen to pass by. Some of those examples are more probably than others. I give them to demonstrate that one can never know all the events that will occur. Equipment failure is a fact of life. One that is usually only discovered during the event. To take the position that simply “doing it right” fails to take reality into account. So am I saying “Everyone should have a manual safety?” No not at all. Never! Never! Greater reliability and a quicker draw against an assailant. Reduced likelihood of discharge when in the wrong hands. A thought that I considered during this decision was the odds of probability. How often have I encountered violent criminals necessitating my use of self-defense? how often have I encountered children accessing that which they should not even when I thought it totally inaccessible? which has the actual greater likelihood of occuring in my life? For a father with small children, I prefer my firearms to have manual safeties. That’s because I fear that at some point I might “do it wrong”. Be it buying the wrong equipment or some bizarre occurrence outside of my control. The reduced risk of negligent discharge, however slight it might be, is beneficial in my assessment. While I am sure there will be many who will disagree, and others who will agree. I reiterate that the decision regarding this need should be made with great consideration based upon an individual’s circumstances. I do not believe there is one universally right answer. I believe a decision is right for the individual. If someone says “You don’t need a safety!”, you need to personally evaluate whether that is true for you. It might be true. No one else can understand your personal equation. The mistake is not in buying a firearm with or without a manual safety. The mistake is buying one without considering your personal life sphere. Lastly, if you’re buying a firearm as a gift for a new shooter. Realize that many new shooters may take comfort in the firearm having a manual safety. Many of us shooters forget the fear, trepidation, awe and wonder we had first interacting with firearms. It’s a respect that many of us lose over time. It’s why many negligent discharges occur with seasoned firearm owners who have simply become to comfortable with their firearms. Those new shooters often enjoy the comfort of that additional safety, because they know that “they don’t know it all, and they’re not sure if they’re doing it wrong”. A good 22 caliber pistol with a manual safety makes a GREAT first gun. After a new shooter is comfortable with firearms, is a better time to encourage their move to a safetyless carry gun like a Glock. Last summer we picked up a Ruger LCP (Light Compact Pistol) for my wife. She wanted something that would be less bulky than your average sidearm. We fondly refer to it as the “Ladies Carry Pistol”. However, they will often follow that up with. A mousegun is better than no gun at all. And when one’s attire does not allow for a full size or even a compact sidearm. A mousegun may be your only option. One might suggest keeping a sidearm in a purse or briefcase. However, some professions do not have that option. A nurse in a hospital is not likely to be seen wearing their scrubs while carrying a purse. That’s where the Ruger LCP and similar firearms come to play. They provide an ultra-conceable option. The Ruger LCP is a lightweight polymer frame pistol approximately 5″ in length and weighing under 10 ounces. It has a 6+1 capacity. While the trigger pull is in the double-action weight zone of approx. 8lbs, the firing mechanism appears to be single action. Pulling the trigger only releases the firing pin once. Repeat pulls do not reset the hammer. I may not be completely accurate or correct in my assessment. I have seen it referred to as “Single-strike double-action”. Essentially, it behaves like many of the striker fired pistols out there. There is a slide lock/release but the slide does not lock open after the final round. There is no safety, which is the one feature I’d love to see in a mouse gun this size. I guess it’s small size does not facilitate a feature rich gun. And that’s likely the reason the LCP is neither CA or MA approved. The suggested retail price has now gone up to $347. When Ruger announced the LCP it became an instant hit. While nearly identical in size and appearance to the Keltec P38T, Ruger’s reputation and quality made it a much more in demand firearm. Many have expressed the fit and finish quality on the LCP to be nicer than the Keltec. I am not sure I’d know how to tell the difference. But I think Ruger has an excellent reputation for standing behind their products and quickly and openly responding to safety issues. And this is a good thing, as it wouldn’t be too long before Ruger discovered there was an issue with their latest product. However, before we get to that I want to describe our personal experiences. We purchased our LCP from Freedom Armory in Glenn Rock, PA. We had ourselves placed on a waiting list and about 2-3 months later, our gun came up. $319 got us a petite little black pistol. We were excited! It was quite petite. Fit and finish seemed good. But not quite on the same level as my Ruger P-345. I think a lot the difference in feel is literally due to the difference in heft of my .45 versus the dimunitive .380. However, the trigger did not feel anywhere nearly as robust. And one can’t really expect it to be it – it is afterall, just a mouse gun. So we went to the range to give it a try. The short 8 yd lanes were all occupied. So we only had the 25 yd lane available. My wife gave it a try and was hitting dirt. I tried and while I got a round or so on target; wasn’t doing much better. When the 8 yd lane opened up we moved over and gave it another try. I put most rounds on a torso sized target. My wife a couple. The most significant challenge with the LCP is sighting the gun. The sights are almost non-existent. Not much more than a ridge in the front and two small ridges on the back. Combine that with the fact that the LCP is so light, that when you drop it, it simply flutters to the ground like a feather. (Okay, not quite…but you get the point.) Even the impotent .380 caliber gives this little pistol a fair kick. Shooting a mousegun like the LCP can hurt. There is not a lot of width to the gun, so the recoil is much more focused. Driving all the force to a narrow part of your hand’s webbing. We had a few failures to fire. My wife would try to fire and nothing happened. I’d eject the magazine. Re-rack. And get it to fire. At first I just thought that my wife wasn’t putting the magazine in properly. But I had some issues too. A little discouraged, but I chalked it up to needing more practice. So we brought it back to Freedom Armory. Their gunsmith reviewed it and determined that it needed to go back to Ruger. This was back in September. 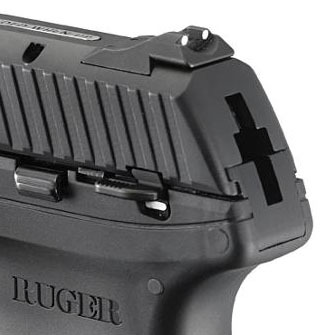 Shortly after our LCP was shipped back, Ruger announced a general recall. Now the recall was not for the problem we were having. But was assured that both issues would be taken care of. It seemed to take forever. It was a couple of months before we’d see our little LCP return. Ours was in before the recall, but we wouldn’t get ours back until after many others received theirs in return. That said, when we did receive our LCP back. It came with a really nice hat, an apology letter, a $25 gift certificate, and an extra magazine featuring the new “finger extension”. My wife and I compared the feel of the LCP both with the original magazine and with the new finger extension magazine. My wife did not notice a significant difference between the two. I on the other hand felt that the finger extension magazine made for a noticeably better grip in my hands. My wife has slender fingers where as mine are short & stubby. And I believe this is what made the difference. She is able to get more fingers upon the grip. Where as the finger extension provides me with a point with which to lock my 2nd & 3rd fingers on the grip of the gun. This makes it much more secure for me. After receiveing the LCP I really wanted to get it back out to the range and make sure it operated properly. However, it’d be quite a few weeks before I found the free time. When I finally did get to the range I had zero incidents of the trigger failure that I had experienced prior. The only issue I had noticed was a slight delay in the slide returning fully to it’s place on two shots. But I chalked this up to the LCP probably needing a bit more lubrication. And that seems to have been the case, after applying a bit more lube, I had no issues. The LCP is IMHO a close range gun. Not that the gun itself is inaccurate. But the dimunitive size does not lend itself to accurate shooting. However, that is not a bad thing as one is most likely to use the LCP at very close range during an assault or as as a back-up gun after a primary weapon has failed. A couple of weeks ago my wife and I had the opportunity to go out to the range together. (Courtesy of her mother babysitting our daughter.) We had a great time shooting our Ruger MKIII (reviewed earlier) and the LCP. This was my wife’s first time shooting the LCP since getting it back. And she did pretty good. Getting most of the rounds on the center mass of the target. The group wasn’t very tight. But the bad guy would have been hit pretty good. We shot our .22 some more and then returned to the LCP. However this time my wife did poorly. I figured it was how she was sighting in the LCP. As said earlier, the diminutive sights make it a tad challenging to aim. In fact, I wasn’t really sure how to describe to her aiming. So I figured I’d just fire a magazine off and get a good feel for the sights so I could describe it to her. I aimed our LCP just using the front sight and ignoring the rear sights. Instead of fitting it into the notch sights on the rear. I just made it stick above the profile of the gun. And pulled the trigger very slowly letting it just break and fire naturally. Then something amazingly wonderful happened. I watched as I put all 6 rounds in a 2 1/2 inch group at 25 feet. The result astonished me as I am not a very good shot. And I just shot one of my best groups ever with an inaccurate mouse gun. What a revelation I had, the discovery that my LCP is truly accurate. My wife teased me about be a show-off, but knew that I had not intended to show her up. And that I myself was quite surprised by the results. Since that day I’ve been jonesing to get back to the range to shoot the LCP and see if I can replicate what I did the last time. I’ve proved to myself what is possible, now I want to make it repeatable and if possible – natural! So to any who had any doubts about the accuracy of the LCP. Let me assure you that the LCP is quite accurate when placed in good hands. But it does take a bit of work and training to learn how to handle this little mouse gun. I’ve fire a few different brands of ammo through the LCP: Winchester White Box, Blazer Brass, Hornady. No issues with feeding so far. One was a round nose, one was a blunt nose and the Hornady was a narrow jacketed-hollow point (JHP). The .380 is a minimal cartridge and for self-defense use one really should consider something other than hardball. The .380 hardball is likely to suffer from many of the same issues as the 9mm hardball. There has been a significant resurgence of this cartridge in 2008, largely due to the monstrous success and sales of the LCP. Many manufacturers are now offering new .380 JHP designs. Certain brands, such as Hornady’s Critical Defense, now incorporate fillers inside the hollows in order to prevent clogging from clothing and help ensure expansion. They also help facilitate loading by reducing the likelihood of feeding issues. These are probably a good choice for a small pistol like the LCP. Traditionally, many self-defense experts have advocated firing a 100-400 rounds of whatever you plan to use as your carry load. For many of us, this just isn’t very realistic. Not with today’s ammo prices and shortages. You might not even be able to find 400 rounds of .380 in your town these days. But at a minimum you should put a few magazines full down range. And experiment with a variety of brands and designs. So far our LCP has eaten everything we’ve fed it. Including a variety of bullet designs and shapes. This helps with my overall confidence that it’s not a very picky eater when it comes to ammo. That combined with firing several magazines full of our chosen defense ammo makes reasonable comfortable. But that’s why I mention the filled hollow points. One advantage is that they tend to be less susceptible to feeding issues. The filling helps prevent the edges of the hollow from being caught on the feed ramps and entry points. So if you have to scimp for financial reasons, or large quantities of ammo is just not available in your area – consider some of these newer filled JHP designs. Lastly, disassembly and re-assembly is fairly easy with the LCP. There is a small retaining pin that requires you pry it out. Small screw drive, key, etc will do the trick. Then it’s pretty straightforward. Slide off the slide, remove the spring unit, slide out the barrel. Just reverse for re-assembly. Note that when placing the pin back into the firearm, that you want to angle the pin as you push it in. This helps facilitate entry. The pin removal and insertion is the only challenging part assembly-wise. As for carrying the LCP. We have a belly band. But my wife found it to be very itchy. We also have a Nemesis pocket holster. Which is my primary means of carrying the LCP. Which I have taken to do so when my attire won’t facilitate or when I know in advance I may face comfort issues. Such as sitting in the narrow movie theater seats. I want to find or make/modify a holster that will clip over a belt and keep the LCP inside the waistband and hold my iPhone outside the waistband. Such a setup should make carry of the LCP virtually invisible. UPDATE: It was brought to my attention that I failed to mention that Crimson Trace offers a very compact laser grip for the LCP. It attaches to the front of the trigger guard. The list price is around $200+ but I’ve seen them for as low as $160 on ebay. I think these are great tools and assists. Excellent for helping with training. But they are only an aid. You need to be able to aim and shoot if your laser’s batteries are dead or if it’s to bright to see the red dot. It is my intention to acquire one of these as soon as I am financially able. I have a confession to make…when I got my Pennsylvania LCTF (CCW Permit), I was NOT the first one in my family to get one. My wife actually picked hers up a day or so before I did (although both were filed together). In fact, this resulted in a bit of a funny situation when I went to pick up my permit at the sheriff’s office. I handed the sheriff my ID. He came back a minute later and stated that he could not process my application, that the computer says it has already been processed. I thought maybe he was confused, since my wife’s had picked up her permit. He asked me what my wife’s name was, to which I replied. That’s when he slid my driver’s license back to me and told me to look at it. I quickly realized that I had handed him my wife’s driver’s license. The sheriff asked me out of curiosity why I had a copy of my wife’s driver’s license. I explained that my wife lost her license and got a replacement, we later found her old license. And that I keep it with me for those times when we go out to a tavern and my wife doesn’t have her wallet. Anyways, around this time Ruger revealed the new LCP (which my wife and I jokingly referred to as the “Ladies Carry Pistol”). We couldn’t find one anywhere…neither could anyone else. *lol* We reserved on at Freedom Armory and finally our name came up. So we went down and my wife picked up her Ruger LCP. It was very light and compact. We went out to the range, and the only lane available was a 25 yd (75ft) lane. We didn’t hit a thing (except for the ground a few times). Finally the 8 yd lane opened up. We still did not hit very much. It wouldn’t be until later when I took my Pastor out shooting that I started landing on target. His help in letting me know where I was landing the rounds assisted me in getting a feel for the LCP’s sights (or near lack of them). The LCP is definitely a short range weapon. I would not expect to use it at anything much beyond 25ft. At least not without adding something like Crimson Trace laser grips. A few trips to the range and I realized something was not quite right with our LCP. I’d pull the trigger, but it would not always fire the gun. At first I thought it was the magazine not being inserted properly, or the slide not cycling back properly. But I eventually realized that there was something seriously wrong. I couldn’t pull the trigger far enough to release the hammer. It was fairly random. So I brought back to the dealer at the end of September and they wound up sending it back to Ruger. About a week later Ruger announced the recall. It wouldn’t be until mid-December when we’d get our LCP back. Ruger was courteous enough to send back our LCP with an extra magazine with the new fingergrip extensions, an LCP “tactical baseball cap”, and a $25 gift certificate to the accessory store – oh and an apology letter. A few weeks later I brought it out to the range and all seemed to work fine so far. And I will add that I much preferred the new finger grip extended magazines. I am not sure how much they factored into things, but my shooting was much more accurate this time around. Our LCP is back home with us. It was a LONNNGGG wait. But Ruger’s done us well by it. But as I said, Ruger did well by us. We received a new magazine with the grip extension. A “Ruger LCP” ballcap. An apology letter and $25 for the Ruger Accessory store. Now I just have to get to the range and send some lead thru it. We recently sent my wife’s LCP back because the trigger mechanism was not functioning properly. Trigger pulls would not always engage the firing mechanism. It was like I needed 1mm more pull. Not sure if this is related to my issue. But it probably explains the delay in receiving our LCP back from Ruger.